Agency: Quinault Indian Nation P.D. Officers Hawk and Williams were shot and killed by a suspect wanted in the assault of a young girl. 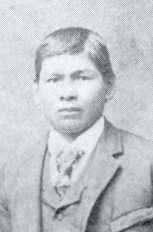 Following the assault, the girl’s father attempted to remove her from the reservation. As Hawk escorted them off of the reservation, the suspect ambushed them and shot Hawk, killing him. The suspect then went to Officer Williams’ home and called out to Williams, who was working in his barn. When Williams came to the door of the barn he was shot by the suspect. The suspect then fled into the woods of the reservation.